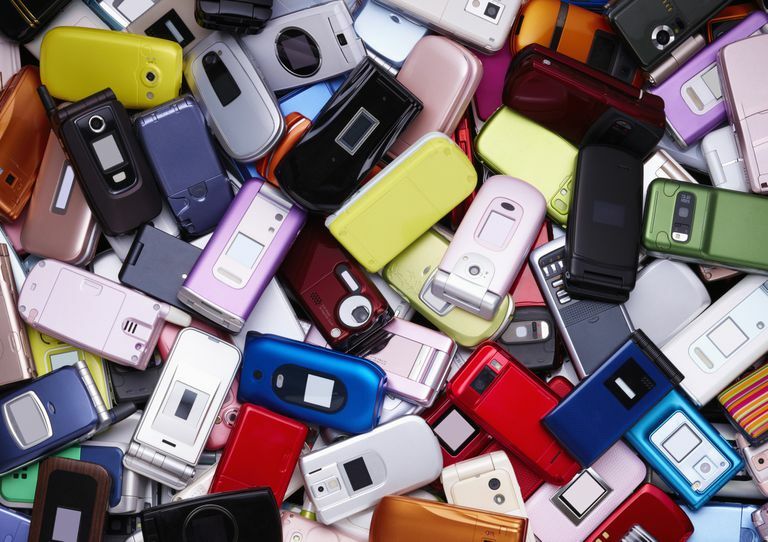 Have a pile of old cellphones laying around? Get them out of your house, and earn some cash in the process. Here's where to sell your used cellphones for the most money. If you're trying to unload a newer phone that's in good condition, an eBay auction will usually yield the best price (because there's no middle man involved). Before you list your phone, look at other auctions to figure out what you need to do to make your listing stand out. Want to see how much you can expect to make? Take a look at auctions that have ended recently. Save time, and get multiple offers for your phone on SellMyCellPhones.com. They check the offers from nine different buyers, so you don't have to check each one individually. If you'd like an immediate offer, or you have an older phone to sell, SellCell is a solid option. Enter the make and model of your phone, and they'll show you which phone buyer is currently paying the most. They even have a best price guarantee. If you find an online recycler who's paying more within 24 hours of selling your phone through their site, they'll give you double the difference. One thing to keep in mind: their site doesn't check prices on Amazon or at brick-and-mortar stores, so you should definitely check those yourself before you jump into anything. If Amazon is currently buying the phone you have, there's a good chance they're paying the most for it. Just pop over to their Trade-In Store, enter the specs for your phone, and they'll tell you how much they're paying. You'll get an Amazon gift card, rather than cash, but with all the things they sell, that's almost as good. Most cellphone recyclers won't buy broken phones, so head to your nearest EcoATM kiosk, if your phone has a cracked screen or won't power on. Their machines pay cash on the spot, so this is also a good option, if you want your money the same day. You might have to wait weeks for your payment, if you go with an online buyer. If you have a broken phone, Gazelle is another place to check. They mostly deal in Apple products, but also accept some Android phones. Best Buy, Apple, Walmart and GameStop all have cellphone trade-in programs. If you plan to buy your next phone from one of them (or any other merchandise from their store), it's worth checking out their offer, though you may find you do better separating the sale of your old phone from the purchase of your new phone. Before you sell your old phone, check the trade-in value with your current carrier (or the carrier you plan to switch to). They want to keep you happy, so it could be worth several hundred dollars towards a new phone -- perhaps even more than you could sell it for. Cellphone resellers make their purchase offer based on several things: how much demand there is for your phone, it's condition, it's capacity (how many GBs), the network it's on and even its color. While it may be tempting to fudge on your phone's condition or specs, don't do it. When the company receives your phone, they'll just reduce their offer or cancel it. You won't come out ahead. However, you can increase the value of your phone by unlocking it before you sell it. This will make it usable on any cell network, so it's desirable to more people. Just want those old cell phones gone? Consider donating them to charity, so someone else can put them to good use, or recycle them and use the proceeds to fund charitable work.